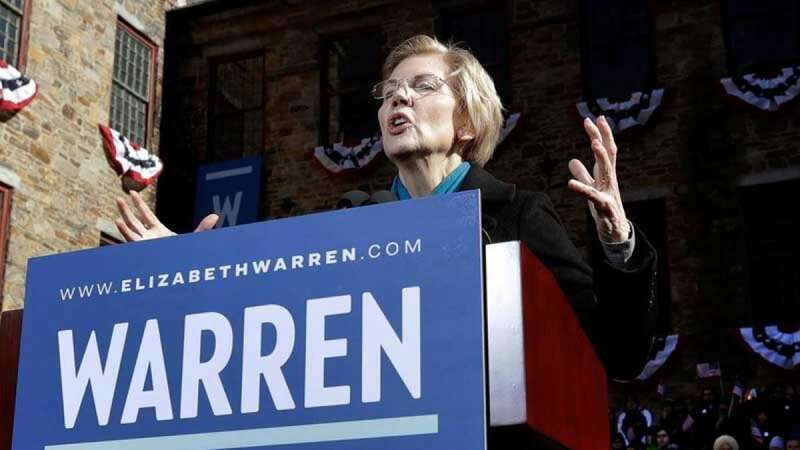 "Donald Trump may not be a president in 2020"
New York : Sen. Elizabeth Warren, D-Mass. on Sunday told voters that Donald Trump may not be able to complete his current term as the President of America. "By the time we get to 2020, Donald Trump may not be president," Warren told an audience here. "In fact, he may not even be a free person." So far Warren had never hinted that Donald Trump scandals may stop him from pursuing the second term. In fact, on her previous trip to Iowa, she rarely mentioned Trump by name. Warren's remark comes as Trump's legal woes mount and as special counsel Robert Mueller III's investigation on Russian election interference has closed in on several key members of the president's orbit. Donald Trump has been facing a lot of oppose from the leaders over his decisions on Mexico Wall, H1B Visa, relation with North Korea and many more.